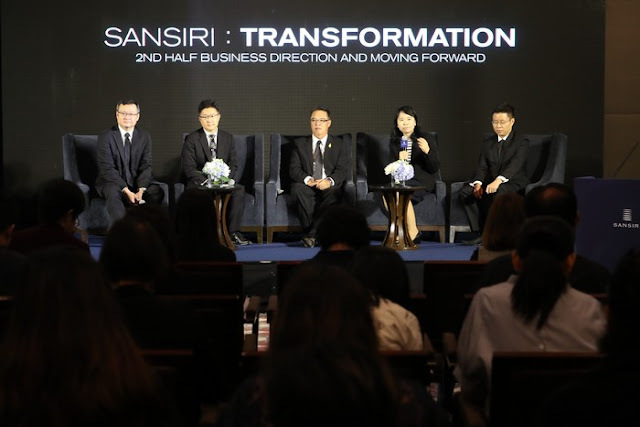 Sansiri launched corporate transformation plan for a big move forward with focus on four areas – financial, project development, marketing and technology, on taking a further step toward becoming a leading real estate developer with unrivalled technology capability in all aspects of business and living experience. 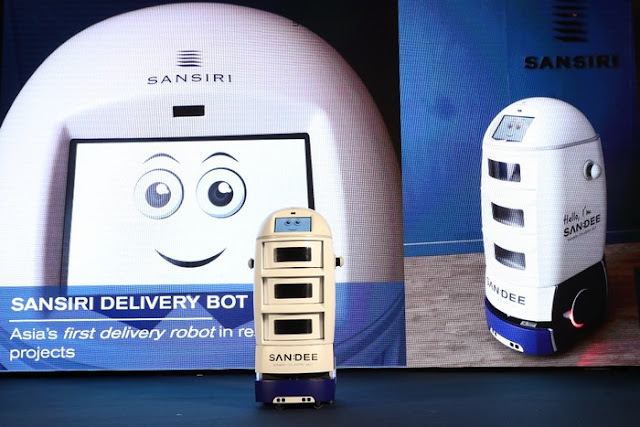 For the second half of 2017, the company planned to launch 16 new projects worth Baht 39,260 million, together with continue to jointly invest with BTS and explore additional partnership, expand international markets, develop new projects under the brand “HAUS” and drive the delivery of innovation for better living with the first prop tech launch in later 2017. Sansiri reported a strong performance for the first half with sales of Baht 15,000 million, representing almost 20% year-on-year growth, with sales from international markets reaching Baht 3,700 million. The company is confident of achieving its Baht 36,000 target sales for the entire year. 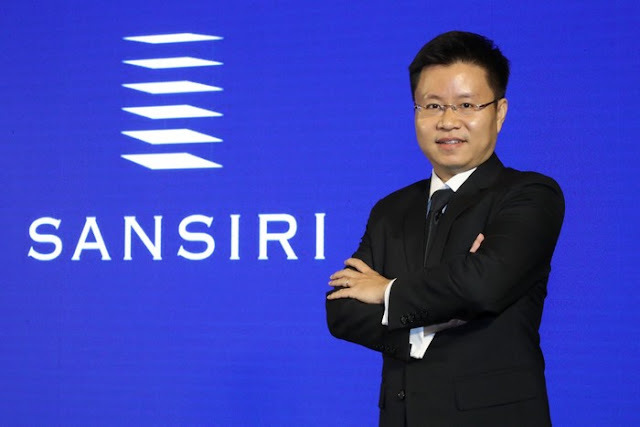 “Business highlight in the second half is major corporate transformation with focus on four areas, together with appointment of high caliber management team, with aim to expedite the pace toward becoming a leading developer with unrivalled technology capability in all aspects of business and living experience,” added Apichart. Financial Transformation – led by Wanchak Buranasiri, Chief Financial Officer, one of Sansiri founders. 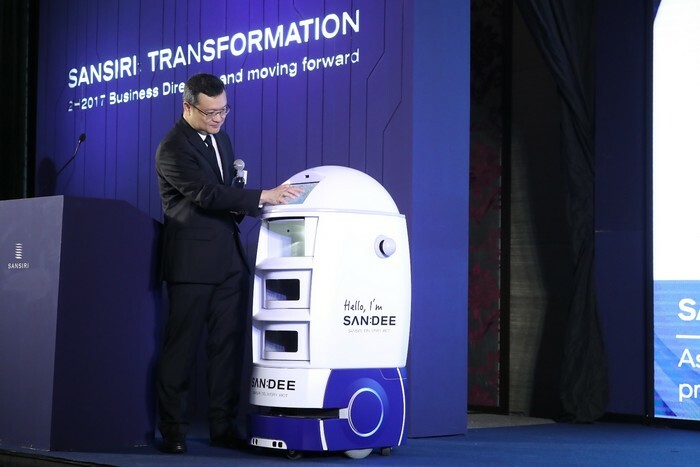 The strong first-half performance was also due to success of sales in international markets, which accounted for Baht 3,700 million, or 46% of the entire year target of Baht 8,000 million. International markets sales were led by The Line Sukhumvit 101, The Line Phahon – Pradipat and The Base Central Pattaya, of which most foreign customers are from Hong Kong, China and Singapore. 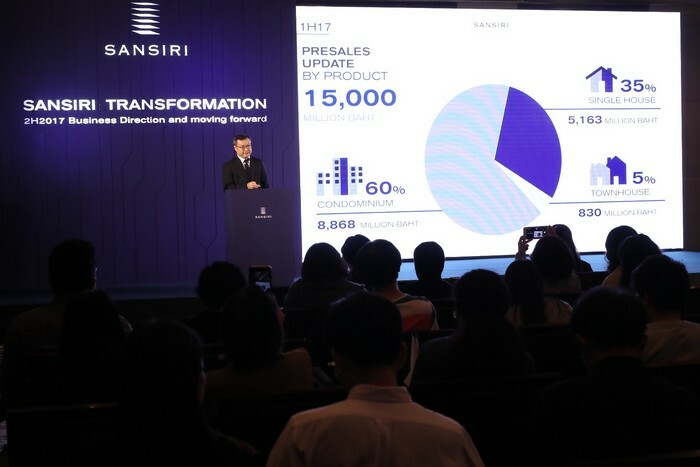 Another key factor is the launch of 98 Wireless, Sansiri’s flagship condominium worth Baht 8,700 million, of which 60% of units has been sold. Condominium projects in the affordable segment were also well-received with sales higher than last year, with all units sold out in 4 projects under the brand ‘dcondo’, comprising dcondo Nim Chiang Mai, dcondo Onnut – Rama 9, dcondo Campus Resort and dcondo Katu – Patong, and in other 2 projects i.e., The Base Central Pattaya and Baan Kiang Fah Hua Hin. Continue to develop new projects under the long-term partnership with BTS – A total of 8 projects worth Baht 30,000 million have been developed during the past two years. In the first half of 2017, one new project – The Base Petchkasem, worth Baht 1,900 million, has been added to the portfolio. In the second half of 2017, three new projects worth totally Baht 10,000 million are planned to be launched. 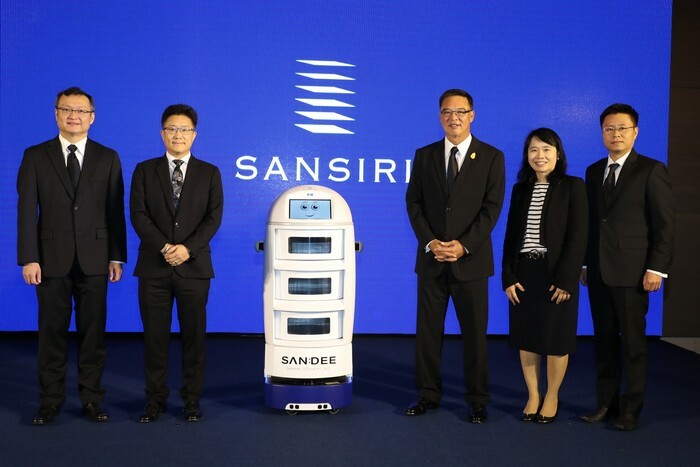 Sansiri also continues to explore additional partnership to strengthen its business in the future. Development of new ‘Baan Sansiri’, super high-end single house project to be launched in the fourth quarter of 2017, after the huge success of Bann Sansiri Sukhumvit 67 launched in 2006. 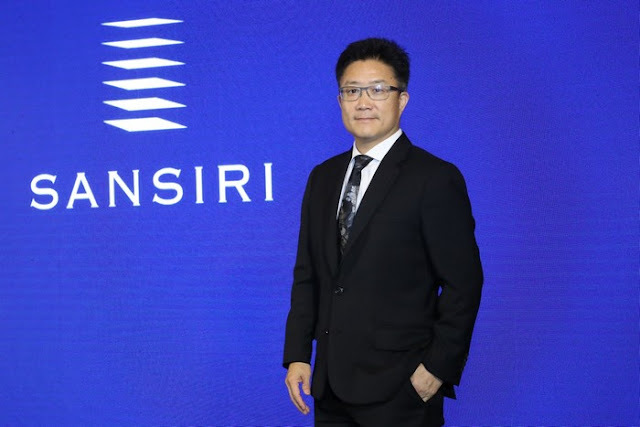 Continue international markets penetration as Thai real estate developer with highest share in international markets for four consecutive years. With sales in international markets in the first half accounted for Baht 3,700 million. 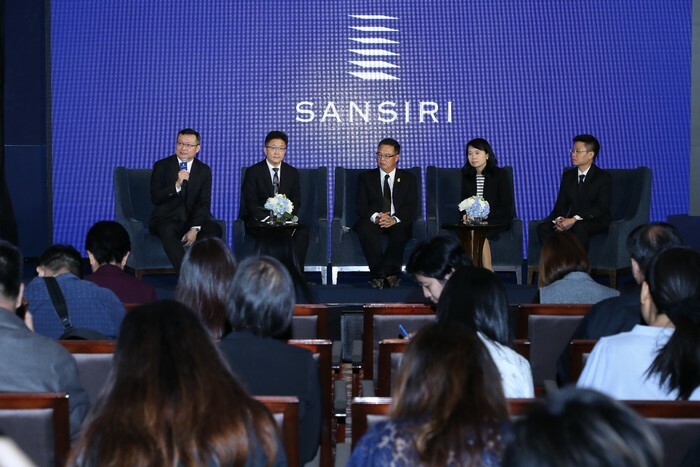 Sansiri expected to achieve sales target of Baht 8,000 million in international markets in the second half. Continue the development of condominium project under the brand ‘HAUS’, resort-inspired housing with large garden and natural ambience. Two HAUS projects have been developed – HASU HAUS and Mori HAUS, and well-received among customers who prefer city living close to the nature, and appeals to many Japanese buyers. Most HAUS buyers are in real demand segment. Development of technology for better living, as the first Thai real estate developer to invest in full-scale prop tech innovation. In the second half of 2017, Sansiri planned to introduce new technology and innovation for business operation, project development and customer services. 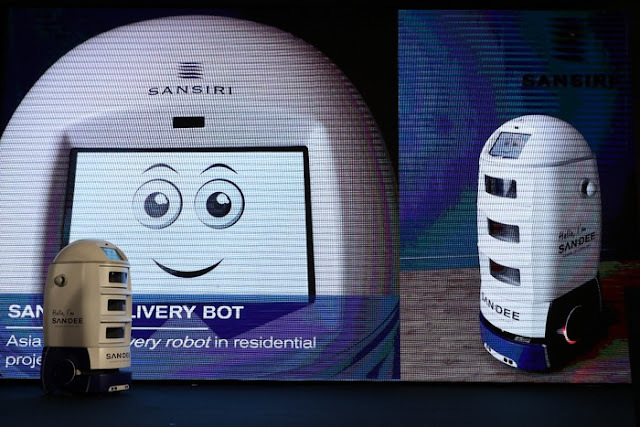 Delivery robot for shipping food and package to resident’s front door will be first introduced in The Monument Sanampao later this year. “With a strong year-on-year growth of almost 20% in our business performance in the first half, combined with full scale corporate transformation led by management team with high caliber, as well as other supporting factors, we are confident to achieve the sales target of Baht 36,000 million set the entire year,” added Apichart. 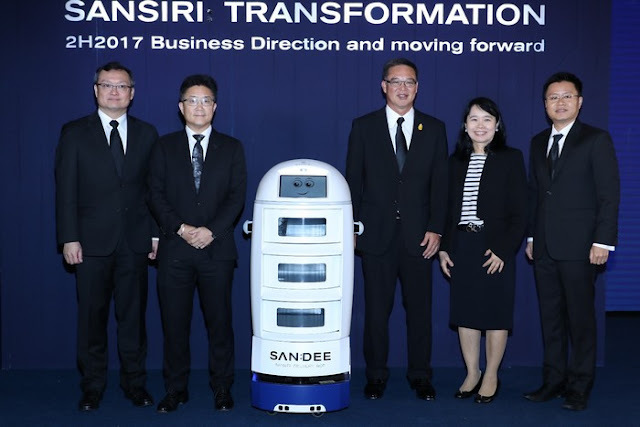 “Sansiri Transformation” business strategy for 2017 focuses on 4 areas: finance, project development, marketing and technology. Chief Financial Officer and Sansiri co-founder Mr. Wanchak Buranasiri to oversee this transformation. Implementation of dashboard that instantly displays each project information upon request for monitoring and controlling finance at timely and precise manner. In-depth fianancial management in every particular detail including financial growth of the company executing through a focus on domestic and international investment, revenue gain, a cut on expense from sales and sales management, an increase of sales and profits. This will be in line with Engineering for Growth policy executed over the past few years. International roadshows, stock trade and budget allocation are also included in the plan with aim for sustainable growth and more strength in the company’s financial structure. 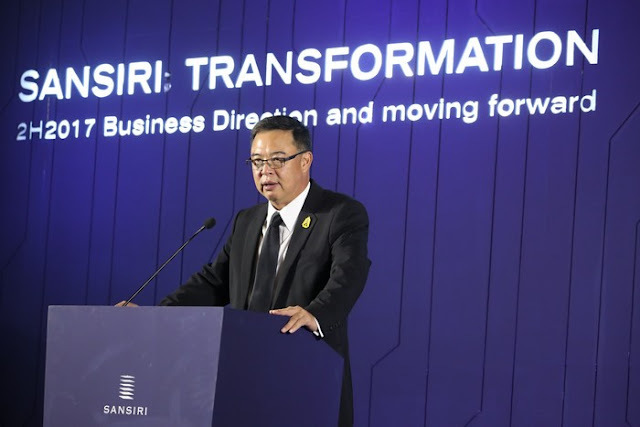 Mr. Uthai Uthaisangsuk, a veteran with 22-year experience in project development at Sansiri, now named Chief Operating Officer, to oversee this transformation. Project Transformation focuses on overseeing the development of both existing and future projects as well as seeking new opportunities, business innovations and new business methods in order to streamline and increase efficiency of businessy. 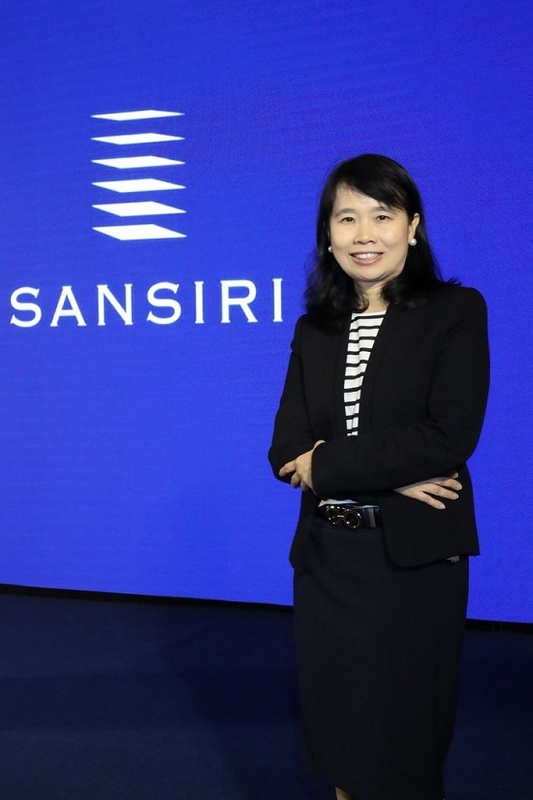 The company’s investment in PropTech, for example, is what strengthen Sansiri’s position in giving better experience to consumers in different segment. Ms. Arunporn Limskul , Executive Vice President – Marketing Division, to oversee this transformation. Customer Living Experience strategy will be our core strategy for marketing transformation to offe best living experience to our customers. We aim to do an extensive study and research to better understand different needs of our residents in different segments. Digital media is key for us to communicate with customers and reach the right target in each segment in both local and international market, setting us apart from competitors. 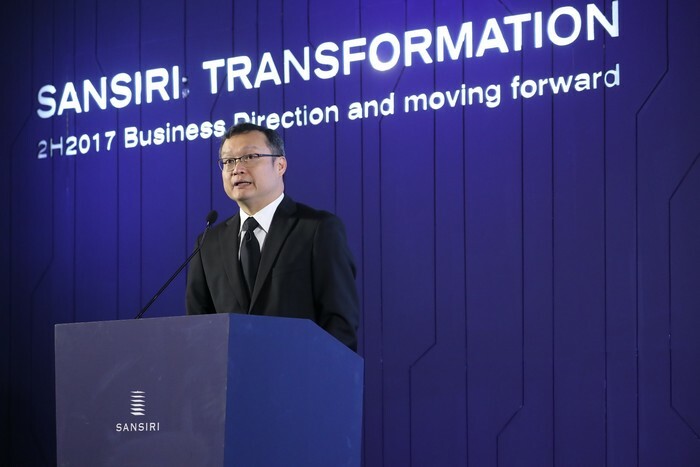 Dr. Tawicha Trakulyingyong, Chief Technology Officer, to oversee this transformation. 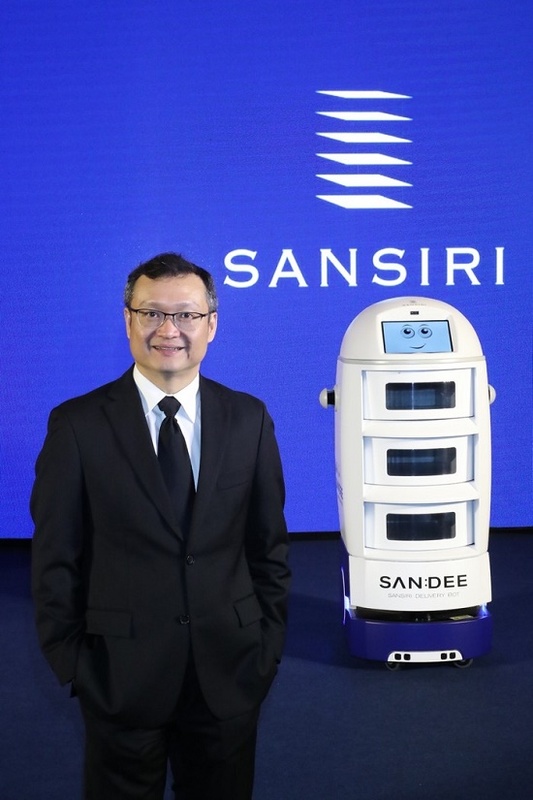 With changing consumer lifestyle in the digital age, Sansiri strives to better understand customers through insightful information as well as adoption of technology that helps strengthen sales pitch and create distinctiveness in the market, leading us to become leading real estate developer with unrivalled technology capability in all aspects of business and living experience.